Cambodia has spent the past 40 years coping with war and internal strife. A former French colony, Cambodia enjoyed little of its independence gained in 1953 before the United States war in Vietnam caused considerable upheaval for most of Southeast Asia. Cambodians found themselves caught up in the struggle between Communist North Vietnam and the US military in South Vietnam, resulting in aerial bombings and ground offensives in Cambodia. The conflict fueled instability that fed Cambodia’s own civil war between the US-backed government and the Communist Khmer Rouge. With the victory of Communist forces in 1975, Cambodia (renamed Kampuchea) fell into one of the darkest episodes of any country during the late 20th Century, as the Khmer Rouge subjected its population to executions and starvation that resulted in genocide. Following a prolonged period of control by Vietnam beginning in 1878, Cambodia finally regained its independence and some semblance of peace. The US resumed informal diplomatic relations with Cambodia in 1991, paving the way for American retailers to begin importing billions of dollars worth of clothing made by cheap Cambodian labor—even though the Cambodian government has been criticized by US officials and others for its poor human rights record. Lay of the Land: Cambodia covers most of the lower Mekong River basin in the southwestern portion of Southeast Asia’s Indochinese Peninsula. Most of the country is flat; half is covered with tropical hardwood forest. The monsoonal variation in rainfall has created a geographic oddity–the large central lake, branching off from the Mekong, called Tonle Sap. During the dry season, December to May, Tonle Sap flows into the Mekong River toward the sea. However, during the rainy season the raging Mekong reverses the flow, filling Tonle Sap to several times its dry season size. Religions: Theravada Buddhist 93%, Sahfi'i Muslim 3.5%, Chinese Universalist 1.7%, Christian 1.0%, Ethnoreligious 0.5%, Baha'i 0.1%, Hindu 0.1%. Ethnic Groups: Khmer 90%, Vietnamese 5%, Chinese 1%, other 4%. Languages: Khmer (official) 90.4%, Cham 1.6%,Tampuan 0.2%, Central Mnong 0.1%, English, French. There are 21 living languages in Cambodia. Cambodia’s early history was dominated by the Khmer Kingdom of Angkor (900-1200 AD). The kingdom produced what is still considered today some of the most remarkable shrines in the world, located on the northern shore of the Tonle Sap. Suryavarman II built the principal temple, Angkor Wat, which at first displayed symbols of Hinduism before Buddhism became the dominant religion of the kingdom. During the 15th Century, nearly all of Angkor was abandoned as a result of attacks from Siam, except for Angkor Wat, which remained a shrine for Buddhist pilgrims. The Western world did not discover the Angkor temples until the late 19th Century when French archaeologists uncovered them and began to restore the structures. By 1884 the French had colonized Cambodia. France came to dominate Southeast Asia, turning the areas of Vietnam and Laos into colonies as well. France continued to control Cambodia even after the start of World War II through its Vichy government. In 1945, the Japanese dissolved the colonial administration, and King Norodom Sihanouk declared an independent, anti-colonial government under Prime Minister Son Ngoc Thanh in March 1945. The United States and its European allies did not recognize this newly independent government and removed it from power. Although weakened by WWII, France was determined to reassert its control over Cambodia and Vietnam during the post-war period. Sihanouk, meanwhile, went into exile, while the French assumed control over Cambodia once again. In neighboring Vietnam, the French fought a costly war against Ho Chi Minh’s socialist movement that sought to free Vietnam from colonial rule. Following its defeat at the key battle of Dien Bien Phu, France decided it was time to begin relinquishing control of Southeast Asia. The 1954 conference in Geneva settled the French-Indochina war, but left Vietnam divided into Communist North and American-supported South. Cambodia also gained its political freedom as a result of the Geneva accords, paving the way for Sihanouk to return home and assume power. While the US took over for the French in South Vietnam, Cambodia asserted a position of neutrality vis-à-vis the Cold War powers. However, the growing conflict in Vietnam during the 1960s wound up involving Cambodia. Because the country shares a long border with Vietnam, the North Vietnamese Army and its Viet Cong allies used locations just inside Cambodia to funnel supplies to forces fighting in South Vietnam against the US military. The Vietnamese did this with the blessing of Sihanouk, who brokered deals with the North Vietnamese and China, while also trying to court favor with the United States. But the military operations being staged by North Vietnam inside Cambodia incensed the US government, which in turn decided to launch military offensives into Cambodian territory (see History of US Relations with Cambodia). During this period, Sihanouk alienated many young leftists in Cambodia, including Son Sen, Ieng Sary and Saloth Sar (later known as Pol Pot), who established the Communist Party of Kampuchea, which eventually became the Khmer Rouge, and began a guerilla war with help from North Vietnam. Sihanouk was removed from power in a bloodless coup by Cambodian General Lon Nol in 1970 while Sihanouk was traveling outside the country. Determined to return to power, Sihanouk courted China and garnered its support to help the Khmer Rouge in its fight against the government of Lon Nol, which received military support from the United States. The US-backed Cambodian army proved ineffective in its battle against the Khmer Rouge, who were aided by the North Vietnamese and Viet Cong operating inside the country. In 1975 the Khmer Rouge successfully toppled the government and assumed control of the country. Pol Pot became prime minister, while Sihanouk’s attempts to regain power by backing the Khmer Rouge backfired, and he wound up under house arrest. Under the Khmer Rouge, Cambodia became known as Democratic Kampuchea. The next four years were some of the most horrific in Cambodia’s history, as the Khmer Rouge uprooted its urban population and force-marched millions into the countryside to build an agrarian society. Those considered disloyal to the Khmer Rouge were executed .while others perished under the harsh working and living conditions imposed by the Communist leaders, creating what became known as the “killing fields.” By 1979, between 1.7 million and 3 million Cambodians had died at the hands of the Khmer Rouge. Although supported by the Communist North Vietnamese, the Khmer Rouge had a falling out with its neighbor. Border clashes erupted along the Kampuchea-Vietnam border in the late 1970s, leading to a full-scale invasion by Vietnam in 1978. Within a few months, the Vietnamese army defeated Pol Pot’s forces. The Vietnamese installed a puppet government led by Heng Samrin to rule over the new People’s Republic of Kampuchea (PRK). Kampuchea remained under the control of Vietnam during the 1980s, while remnants of the Khmer Rouge and forces loyal to Sihanouk continued to wage guerilla efforts against the Vietnamese army. The long occupation of Kampuchea took its toll on Vietnam, which eventually agreed to negotiate an international settlement. The Paris Conference of 1991 gave the United Nations full authority to supervise a cease-fire, repatriate displaced Khmer along the border with Thailand, disarm and demobilize the factional armies, and prepare the country for free and fair elections. Despite continued opposition by the Khmer Rouge, elections were held in 1993 and a sovereign government was reestablished in Kampuchea. A new constitution was approved, creating a multiparty liberal democracy in the framework of a constitutional monarchy, with Sihanouk elevated to King. Sihanouk’s position was largely symbolic, leaving the prime minister in charge of the government. In October 2004, the Cambodian National Assembly ratified an agreement with the UN to create a war-crimes tribunal for leaders of the Khmer Rouge. The tribunal plans to begin trials in early 2009. Between 1955 and 1963, the United States provided $409.6 million in economic grant aid and $83.7 million in military assistance to Cambodia. Relations between the two countries deteriorated in the early 1960s. Diplomatic relations were broken by Cambodia in May 1965, but were reestablished on July 2, 1969. The US war in Vietnam had drastic repercussions for Cambodia. As part of its military operations against the North Vietnamese, the US Air Force carried out massive aerial bombing campaigns throughout North Vietnam. These missions drove the North Vietnamese into using the territory of their neighbor, Cambodia, to move supplies into South Vietnam. American military commanders grew frustrated with this end-around by the North Vietnamese and pleaded their case with President Richard Nixon and his top foreign policy adviser, Henry Kissinger, to do something. In 1969, Nixon secretly ordered the US Air Force to expand its bombing missions into Cambodia without informing Congress or the American public. When the bombing proved insufficient in stopping the North Vietnamese from using Cambodia as a safe haven, Nixon order the US military to invade Cambodia in 1970. This decision provoked considerable outrage in America and throughout the world. The US campaign in Cambodia did little to help the war in Vietnam, but it did create instability in Cambodia that helped the Khmer Rouge win its war against the Cambodian military. From 1970-75, the United States provided $1.18 billion in military assistance and $503 million in economic assistance to the government of Lon Nol. The US severed relations with Democratic Kampuchea upon the Khmer Rouge’s ascension to power in 1975. American officials condemned the brutal character of the Khmer Rouge regime between 1975 and 1979. The United States also opposed the subsequent military occupation of Cambodia by Vietnam. The US did not reopen a diplomatic post in Cambodia until 1991, when the US Mission in Phnom Penh opened. On January 3, 1992, the US lifted its embargo against Cambodia, thus normalizing economic relations with the country. The United States also ended blanket opposition to lending to Cambodia by international financial institutions. When the elected Royal Government of Cambodia was formed on September 24, 1993, the United States and the Kingdom of Cambodia immediately established full diplomatic relations. The US Mission was upgraded to a US Embassy. When factional fighting broke out in 1997, the United States suspended bilateral assistance to the Cambodian government. At the same time, many US citizens and other expatriates were evacuated from Cambodia and, in the subsequent weeks and months, more than 40,000 Cambodian refugees fled to Thailand. The 1997 events also left a long list of uninvestigated human rights abuses, including dozens of extra-judicial killings. From 1997 until recently, US assistance to the Cambodian people has been provided mainly through non-governmental organizations. With the lifting of a congressional ban in 2007 to provide direct assistance to the Cambodian government, more direct technical assistance has become feasible. In recent years, some American lawmakers have argued that US support for Cambodian development, bilateral trade and the Khmer Rouge tribunal should remain restricted until Prime Minister Hun Sen and the Cambodian government allow more political freedoms and civil liberties. Other policy experts argue that greater US assistance and involvement in Cambodia, through not only foreign aid but also enhanced trade, diplomacy, and educational and cultural exchange, may help to achieve US goals. Furthermore, some assert that greater US engagement with the kingdom may help to counter economic and political influence from China. On February 3, 2005, the Cambodian National Assembly voted to revoke the parliamentary immunity from prosecution of opposition leader Sam Rainsy and two of his supporters. The parliament took this action in response to Rainsy’s lawsuits against Hun Sen, for alleged involvement in a 1997 grenade attack against opposition demonstrators. The national Assembly also removed the immunity of the First Prime Minister. Prince Norodom Ranariddhand charged him with embezzlement. The US government regarded these actions as politically-motivated and without legal justification. On February 3, 2005, the United States issued a statement strongly condemning the Cambodian National Assembly’s actions. On February 17, 2005, the US Senate introduced a resolution that called upon the government of Cambodia to release one of Rainsy’s supporters from prison and restore the parliamentary immunity of Rainsy and others. In September 2008, the US State Department pledged $1.8 million to support Cambodia’s Khmer Rouge war crimes tribunal. According to the 2000 US Census, 171,937 people in the US identified themselves as Cambodian. Immigration began en masse after 1979, when the plight of Cambodian refugees in Thailand became well known. Less than 15% of the Cambodians recorded in 1990 census arrived before 1979. Between 1980 and 1984, 70,191 Cambodians came to the United States, with immigration slowing in the second half of the decade as hope for political stability in Cambodia lessened the urgency of their condition. Half of the Cambodians in the United States live in California, although other large communities exist in Massachusetts, Texas, Pennsylvania, Virginia, New York, Minnesota and Illinois. Many Cambodian advocates argue that the actual size of the Cambodian population is nearly double the stated figure, because Cambodians unfamiliar with the process might not respond to census requests. In 2006, 123,847 Americans visited Cambodia. Although there was a dip in 2003 (66,123 visitors), tourism has grown steadily since 2002, when 88,396 Americans went to Cambodia. Meanwhile, 2,425 Cambodians visited the US in 2006. The number of tourists rose from 2,575 in 2002 to a high point in of 3,480 in 2004, before falling back to former levels by 2006. The United States is the largest overseas market for Cambodian products, accounting for 63% of total export revenue in 2006. More than 97% of US imports from Cambodia are textiles and apparel. In 2006, US imports of Cambodian apparel increased by 25% over 2005. Overall, the US is running a considerable trade deficit with Cambodia, importing $2.4 billion worth of goods in 2007, while exporting only $139 million. That export total represented an increase from $74.5 million in 2006. The top American exports to Cambodia are road vehicles, machinery and textile fibers. Cambodia has pressed the US government to grant trade preferences on garment exports similar to those enjoyed by some African and Latin American nations. Offshore oil has held the promise of drastically improving the economic plight of Cambodia. According to some estimates, Cambodia may possess 2 billion barrels of oil and 10 trillion cubic feet of natural gas in the Gulf of Thailand. According to some projections, oil revenues may generate $1 billion per year by 2010. US oil giant Chevron is trying to gain access to Cambodia’s untapped oil reserves, but so are oil interests from China, Japan, Thailand, France, Singapore and South Korea. Some Western observers in Phnom Penh believe that China is well-positioned politically to become the largest foreign investor in Cambodia’s fledgling petroleum sector. Some analysts have noted potential obstacles to the rapid or full realization of Cambodia’s dream of turning oil into economic development. Cambodia and Thailand have unresolved territorial disputes in the Gulf of Thailand covering 27,000 square kilometers. Another problem is the possibility that oil revenues would fall into the hands of corrupt officials or fail to trickle down to a majority of Cambodia’s poor. The US gave $57.3 million in aid to Cambodia in 2007. The federal budget allotted the most funds to Child Survival and Health ($27.8 million), Rule of Law and Human Rights ($6.1 million), Civil Society ($5.4 million), Good Governance ($4.8 million), and Nonproliferation, Antiterrorism, De-mining and Related Programs ($4 million). The 2008 budget estimate reduced aid slightly to $55 million, and the 2009 budget request will decrease aid further, to $45.4 million. The 2009 budget will distribute the most funds to Child Survival and Health ($23.1 million), Nonproliferation, Antiterrorism, De-mining and Related Programs ($4.2 million), Rule of Law and Human Rights ($4 million), Good Governance ($3.8 million), and Private Sector Competitiveness ($3.0 million). In terms of military aid, the US sold $73,900 of defense articles and supplies to Cambodia in 2007. Plans for the largest annual celebration in Long Beach, California’s Cambodian community divided Cambodian-Americans in February 2008. At issue was a scheduled appearance at the Cambodian New Year Parade by Cambodian Deputy Prime Minister Sok An, whom some in the community said represents one of the most corrupt governments in the world. “He’s representing a government that is very corrupt, that oppresses people and violates so many human rights,” said Navy Phim, a resident who led the charge to rescind Sok An’s invitation. According to Borann Heam, vice president of the Cambodian Coordinating Council (Cam-CC), which organizes the parade, the decision to invite Sok An arose after a Cam-CC delegation visited Cambodia in 2007. The delegation of local groups that visited Phnom Penh first met with then-US Ambassador to Cambodia Joseph Mussomeli. At Mussomeli’s recommendation that Cambodian-Americans engage the Cambodian government more, the delegation extended invitations to all government leaders to attend the New Year Parade. When delegation members ran into Sok An, they personally invited him to the Long Beach event. Phim said that Sok An’s participation in the parade made Long Beach appear to be taking sides in Cambodian politics. 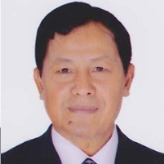 Parliamentary elections in Cambodia were held in July 2008 and Sok An ran for reelection in the ruling Cambodian People’s Party. In January 2008, Cambodian police blocked Hollywood actress Mia Farrow from holding a genocide memorial ceremony at a former Khmer Rouge prison, at one point forcefully pushing her group away from a barricade. Farrow, who was working with the US-based advocacy group Dream for Darfur, was in Cambodia as part of a seven-nation tour of countries that have suffered genocide to call attention to the humanitarian crisis in Sudan. “My heart—our hearts—are breaking for what happened in Cambodia today, especially for the survivors of genocide,” Farrow told a news conference after the confrontation with police. The Cambodian government had barred the ceremony several days before it was to take place and police sealed off all roads leading to the Khmer Rouge’s infamous Tuol Sleng prison, which is now a genocide museum. The American actress and seven other activists arrived at one of the barricades, about 170 yards from the museum’s gate and refused to go away, linking their arms in a human chain. The city of Long Beach, CA, boasts one of the largest Cambodian populations in the United States. In 2007, Cambodian business leaders proposed that several blocks where Cambodian-Americans own businesses and restaurants be given the designation, “Cambodia Town.” Some saw the designation as a natural addition to the ethnic neighborhood map of greater Los Angeles, which includes Chinatown and Little Tokyo, as well as relative newcomers such as Thai Town and Little Armenia. Artesia’s Little India and Westminster’s Little Saigon are nearby. The Cambodia Town designation, supporters believed, would help revitalize the depressed neighborhood and attract more business and tourism. In addition, it would help build the morale of a people who, studies have shown, are suffering from the trauma of the late Khmer Rouge leader Pol Pot’s reign of terror in the 1970s. Other locals, however, believed the designation might cause trouble for the community. Some worry that it could heighten tensions among local street gangs. Others fear that it could make black and Latino residents in the area feel marginalized. On July e, 2007, the Long Beach City Council gave official approval to the Cambodia Town designation. When the United States launched its invasion of Iraq in March 2003, the government in Phnom Penh “expressed regret” over the US attack. Foreign Minister Hor Namhong told reporters the country regretted that a political solution was not made to avoid the use of force in resolving the Iraqi issue. The minister also said the war would have a negative impact on the global economy and politics, particularly among the member nations of the Association of Southeast Asian Nations (ASEAN). Overall, the Cambodian government has a poor human rights record, according to the State Department. US officials state, “Security forces committed extrajudicial killings and acted with impunity. There was little political will to address the failure by government authorities to adhere to the rule of law. Detainees were abused, often to extract confessions, and prison conditions were harsh. Human rights monitors reported arbitrary arrests and prolonged pretrial detention, underscoring a weak judiciary and denial of the right to a fair trial. Land disputes and forced evictions, often accompanied by violence, were a continuing problem. The one good thing the State Department had to say was in regards to the tribunal that Cambodian officials are preparing to try Khmer Rouge leaders for war crimes dating back to the 1970s. The Extraordinary Chambers of the Courts in Cambodia (ECCC) for the Prosecution of Crimes Committed during the Period of Democratic Kampuchea adopted its internal rules to begin prosecuting senior leaders of the Khmer Rouge regime and others responsible for committing serious crimes. The ECCC charged Kaing Guek Eav, alias Duch, with crimes against humanity and subsequently charged four other senior officials. In addition, the government permitted a Human Rights Day march of 500 human rights activists, monks, and other persons and rally of an estimated 2,500 persons in Phnom Penh. These developments, though, were further negated by other human rights problems cited by international groups and others. Human Rights Watch complained that as Cambodians headed to the polls for the July 2008 election, conditions were not in place for free and fair elections. The near-monopoly on broadcast media for the ruling Cambodian People’s Party’s (CPP), bias within the electoral apparatus, and harassment, intimidation, and coerced defections of opposition party members undermined the credibility of the national elections. Sixteen days before the election, journalist Khim Sambo and his son were killed in a drive-by shooting in Phnom Penh. The murder of Sambo followed the killing of a union leader in 2007. Hy Vuthy, president of the Free Trade Union of Workers of the Kingdom of Cambodia (FTUWKC) at the Suntex garment factory, was shot dead while riding his motorbike home after finishing his night shift at the factory. Vuthy’s murder represented the third killing of a union leader in three years. All three murders were committed the same way—by two men riding on a motorbike. Note: Took oath of office and proceeded to post, but did not present credentials; left post, Sep 18, 1964. Note: Alf E. Bergesen was serving as Chargé d'Affaires ad interim when Cambodia severed diplomatic relations with the US, May 3, 1965. Embassy Phnom Penh was reestablished Aug 16, 1969, with Lloyd M. Rives as Chargé d'Affaires ad interim. Note: Embassy Phnom Penh was closed on Apr 12, 1975, following the evacuation of all US personnel. The US Mission to Cambodia was established Nov 11, 1991, with Charles H. Twining as US Representative. Cambodia's Ambassador to the U.S.
Cambodia’s ambassador to the United States is Heng Hem, a diplomat with more than 30 years of experience working in foreign affairs. Hem was born in Kampong Cham province on November 8, 1951. He graduated from the Agricultural School of Prek Leap in Phnom Penh in 1970. His diplomatic career started in June 1979, following the overthrow of the Khmer Rouge, when he joined the Ministry of Foreign Affairs and International Cooperation. From 1983 to 1985, he worked as the bureau chief in the ministry’s Protocol Department. Following this duty, his first foreign assignment took him to Hanoi, Vietnam, where he served as second secretary in the Cambodian embassy. He returned to the Protocol Department in 1989, and then shifted to the Department of Information (bureau chief) from 1990-1992. He was made deputy director of the Economic Cooperation Department in 1992 and served in this role for four years. During this period he attended the Royal School of Administration in Phnom Penh, earning a Certificate in Public Administration (1993). In 1996, Hem was promoted to deputy director general of the ASEAN Directorate for the foreign ministry. Two years later, he was posted to India, serving as minister counselor in the Cambodian embassy. While in New Delhi, he attended the Indian Academy of International Law and Diplomacy, earning a degree in 1999 in international law, international organizations and diplomacy. He also received his Master of Arts in political science from the University of Delhi (2001). He returned to Cambodia in 2001 to serve as director of the Asia 2 Department. From 2004 to 2006, Hem was Director of Information and Documentation for the foreign ministry and concurrently was an advisor to the deputy prime minister until October 2008, when he was appointed ambassador to the United States. Hem speaks English and French. He is married and has three sons. Cambodia's Embassy Web Site in the U.S.
Cambodia’s Embassy in the U.S.
President Obama nominated career diplomat William E. Todd as the next ambassador to Cambodia on December 1, 2011, and the Senate confirmed him on March 29, 2012. Born circa 1962, Todd earned a B.S. at Longwood College (now Longwood University) circa 1984 and joined the Foreign Service shortly thereafter. He has been a career member of the Senior Executive Service for more than 10 years. 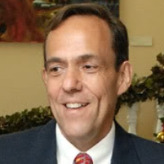 Todd has held several senior positions within the US government, including executive director of the Bureau of Resource Management in the State Department; director of the Office of Security and Management in the Office of the Secretary at the Department of Transportation; and director of planning and resource management for the US and Foreign Commercial Service in the Department of Commerce. Todd worked in the State Department’s Bureau of International Narcotics and Law Enforcement Affairs (INL) for a little more than four years starting in 2002, serving as principal deputy assistant secretary (PDAS), deputy assistant secretary for International Civilian Police and Rule of Law Programs and for the Office of Asia, Africa, Europe and the Middle East, as well as executive director and controller. As PDAS, Todd managed more than 4,000 employees and contractors in more than 75 theatres of operation, including Iraq, Afghanistan and Colombia. As INL’s executive director/controller, he managed about one-sixth of the State Department’s budget (more than $3.5 billion) and one-fourth of the department’s assets. Upon leaving INL, Todd served as deputy inspector general of the State Department from June 2006 to January 2008, when he became acting inspector general. In both capacities, he directed all Office of Inspector General activities, domestically and abroad, and international broadcasting operations in 65 broadcast languages. In March 2008 he headed the investigation into the security breach in which the passport files of Barack Obama, Hillary Clinton and John McCain were accessed without authorization. Todd was assigned his first ambassadorship in June 2008, as the U.S. Ambassador to Brunei, where he served two years before taking the “hardship” post of coordinating director of Development and Economic Affairs at the embassy in Kabul, Afghanistan, from June 2010 to June 2011. Todd is a certified public accountant licensed in the state of Virginia. He and his wife, Ann Buckingham Todd, have four children. A career officer in the Senior Foreign Service, Carol A. Rodley is serving her second tour in Cambodia, having worked in the Southeast Asian country in the late 1990s. Although she has served in many capacities in the State Department, Rodley is well-versed in issues of intelligence and counter-terrorism. A native of Massachusetts, Rodley graduated from Smith College in 1976. 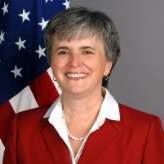 Her Washington assignments have included executive assistant to the Bosnia coordinator for the Dayton peace accord negotiations; deputy director of the secretariat staff; Cyprus desk officer in the Office of Southern European Affairs; senior watch officer in the Operations Center; and intelligence analyst in the Russia Division of the Bureau of Intelligence and Research. Rodley’s overseas assignments have included postings in Germany, South Africa, the Dominican Republic and Pakistan. Rodley then attended the State Department’s senior leadership training course, the 43rd Senior Seminar, at the Foreign Service Institute from 2000-2001. For the next two years she served as deputy executive secretary in the Executive Secretariat, until July 2003. She relocated to Afghanistan to work as counselor for political and military affairs at the U.S. Embassy in Kabul, before returning to the states to serve as a faculty advisor at the Foreign Service Institute for Afghanistan and Iraq training. President George W. Bush nominated Rodley to be ambassador to Cambodia in May 2008, a post she finally took over on October 24. In May 2009, Rodley ruffled the feathers of the Cambodian government when, while delivering the opening speech at an anti-corruption concert in Phnom Penh, she claimed that Cambodia loses $500 million a year to corruption. Rodley is married to David Newhall, and the couple has three children. Rodley speaks Khmer, German, Spanish, Urdu, and Hindi.